What happened to the Philippine Music Industry? Filipinos are great singers. The world agrees on that. Filipinos love singing so much it becomes a part of our daily lives. We love music. (Who the heck does not?) We love singing contests (The Voice, X Factor, local singing contests, etc.) It develop artists and show real talent. We love supporting Filipino singers competing internationally because as we say, they are the country’s pride. But after the once in a lifetime moment in the spotlight, on the eyes of the whole nation, where do the Filipino artists end up? What happened to their careers? Where have they gone to? Do we hear of them again? Or only on a minute-worth of appearance in ASAP? Mall shows? Guesting in GGV? 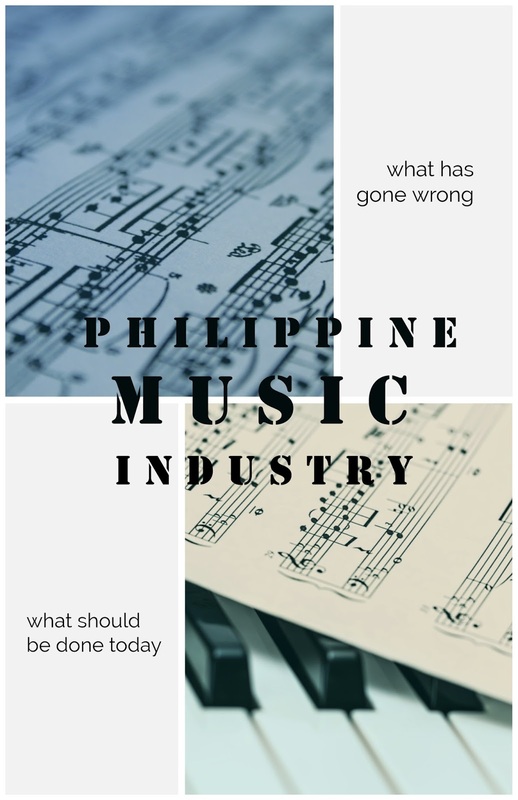 These are the three contributing factors that define how the Philippine Music Industry is being run. The music producers and song writers only pick the popular ones to invest from. Even though the popular ones aren’t real singers. Why? Simply because they’re popular. Doesn’t matter if they’re crappy singers. People love them and they’re going to buy their albums and go to their concerts. Popular people is tied to profit. Its mostly about money in this industry. People fish for their idols. These idols, who are fully aware that they aren’t musicians, will still go on with it. Simply because WHY NOT? You’re given the opportunity, so why not? For all I know, everyone of us had a dream of becoming a recording artist with blockbuster concerts and albums. You see, this is the perfect presentation of the law of supply and demand. The people are the consumers. They are the ones buying the product, aka the artist/song/album. If there is a high demand on the product, then the supply must be high as well. Thus, the explanation why producers and songwriters keep on signing up non-singers to sing. If the other artists are selling but you’re not, and you are convinced that you can equally or actually do better than them, then you must look into yourself first. What are you lacking? What does she/he has that you don’t? In what aspects do you need improvement? What can you do to step up your game? Talented people work hard for what they are passionate about. But in this industry, most of them are not given the opportunity to showcase their talent. They are not given their break and spotlight. These are the people that can better represent the PINOY MUSIC that we were once so proud of. They are the ones I actually want to hear in the radio and watch perform live. I am not saying that some of the artists today that are selling records are bad or that they are not working hard to get to what they are now. I am not saying that they do not deserve their place. There are few mentionable talents that I like. (Yeng, KZ, some rock bands) I am just arguing that there are LOT MORE ARTISTS that I prefer to hear. They deserve to be heard, too. As much as I hate to admit, I can’t do much about bringing the glory that the Philippine music industry once had. The music industry used to shape star quality artists. It used to be a home to dreamers and hard workers that actually earn their place. Regrettably, I can’t do much since I’m not part of the industry neither do I have the ways and the power to change it internally. What I can do best is to support in the background the real talented artists in the Philippines and hope that I will hear their music soon. You have remarked very interesting details! ps nice web site. “Gratitude is the sign of noble souls.” by Aesop. aeczgmyo,Wonderful one thank you so much ! rnbkjmhezbo,Definitely believe that which you said. Your favourite justification appeared to be on the net the simplest thing to remember of. etdras,Some really nice stuff on this website, I enjoy it. hawpnh,Some really nice stuff on this website, I enjoy it. xbhxmuh,Thanks for ones marvelous posting! I actually enjoyed reading it, you will be a great author.I will always bookmark your blog and will johmxe,come back from now on. I want to encourage that you continue your great writing, have a nice afternoon!